Lexington, Ky. – Aug. 22, 2017 – In addition to the retirement of SBS Farms, Inc.’s legendary hunter derby champion Jersey Boy, the team produced consistent top results and created lasting memories at the 2017 Bluegrass Festival Horse Show at the Kentucky Horse Park. Head trainer Jennifer Alfano had a successful showing in the competitive Platinum Performance/USHJA Green Hunter Incentive Championship, where SBS Farms had a total of three qualified horses competing. After the first round of competition, which kicked off on Tuesday, Aug. 15, Alfano sat in third place aboard SBS Farms’ Stardust with a score of 262. Alfano and Kathy Chiaf’s Kindred also finished among the top 10 after the first round in sixth place with a score of 259.5. Yet it was Alfano and Sharon O’Neill’s Talladega who advanced to Thursday’s final round and scored a 233 to finish 19th overall. 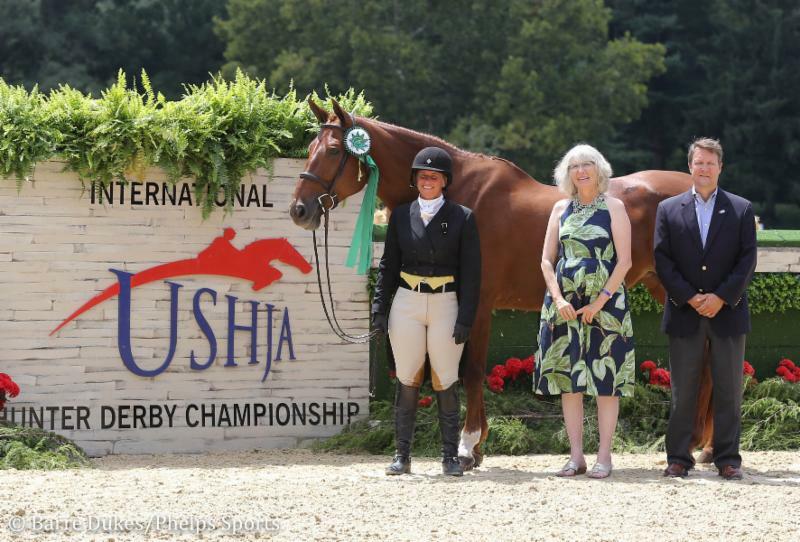 Next came the USHJA International Hunter Derby Championship. 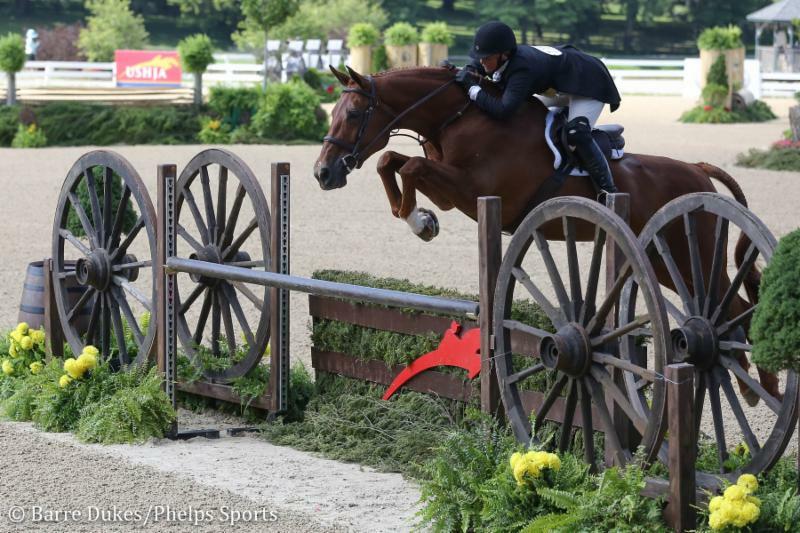 In Friday’s classic round, Alfano took home an impressive sixth place in the large class with O’Neill’s Miss Lucy, who won the 2016 USHJA International Hunter Derby Championship with SBS Farms rider Kristy Herrera. The pair was awarded scores of 88, 85 and 86.8 from the three panels of judges. Combined with the points they collected from choosing all four high-option fences, Alfano and Miss Lucy finished with a total score of 271.8. Jennifer Alfano and Miss Lucy finished sixth in the classic round of the USHJA International Hunter Derby Championship. Alfano’s Candid and Herrera also claimed a high placing in the classic round, earning scores of 87, 92 and 88 from the judging panels. The pair took 10th place in the prestigious class after finishing with a score of 267. Herrera also rode Emily Cherney’s Kensi to a good finish in the classic round of the USHJA International Hunter Derby Championship, earning a score of 254.6. During Saturday evening’s handy round, and after an emotional start to the championship’s grand finale with Jersey Boy’s retirement ceremony, Alfano and Miss Lucy received a handy score of 270.55 to take home ninth place overall with a final tally of 542.35. Herrera took both 19th and 20th with Kensi and Candid, respectively, with final scores of 477.60 and 467. Miss Lucy showcased her versatility at the Bluegrass Festival Horse Show, competing with Alfano in the Performance 3’6″ Hunter division. Alfano also campaigned Girl Crush, owned by Susan Kimberly, and Chiaf’s Silver Lining in the Green 3’6″ Hunter division, while Chiaf took her turn in the saddle and secured top results with Silver Lining in the Amateur-Owner 36+ 3’3″ Hunter division. Other SBS Farms horses and riders competing at the 2017 Bluegrass Festival Horse Show were Molly Gfroerer and Silver Icing, owned by Samantha Hurley, who produced top results and collected a first place in the Children’s Small/Medium Pony Hunter division. 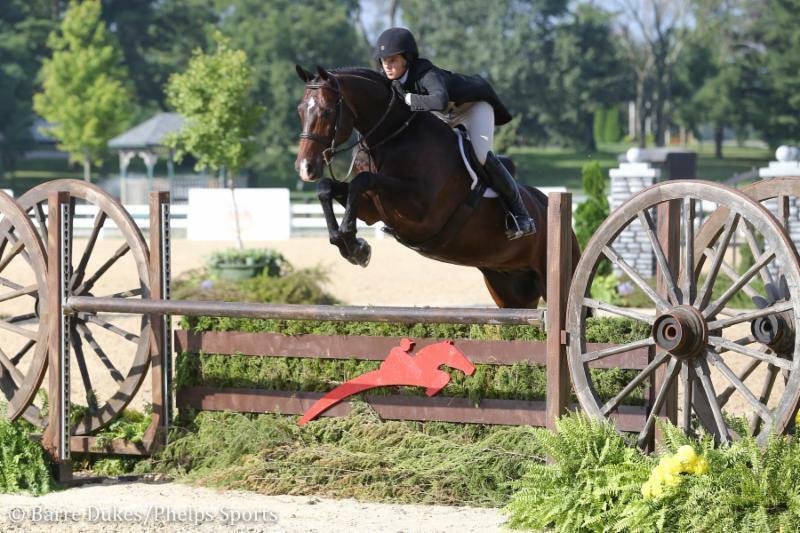 Emma Walters and the Buffalo Therapeutic Riding Center’s Crisp also received good scores and represented SBS Farms well in the competitive Junior 3’3″ Hunter division. 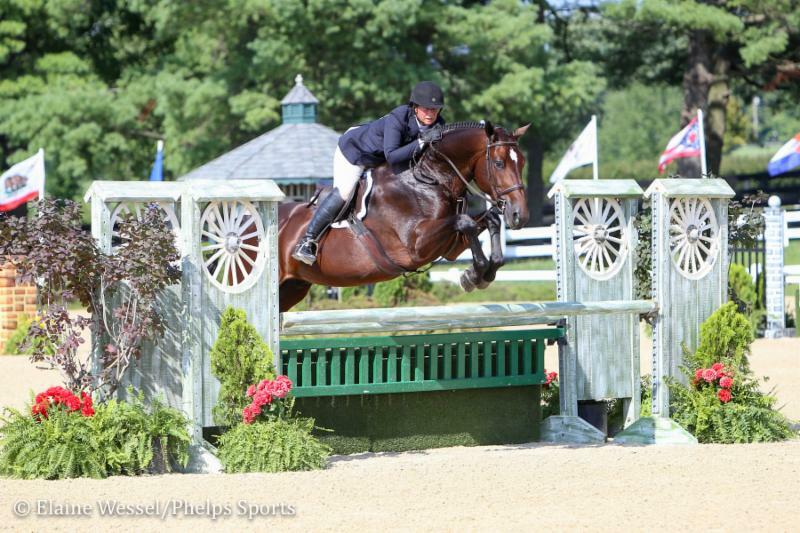 Next, the SBS Farms team will commence their fall competition schedule, which includes the Diamond Mills $500,000 Hunter Prix Final Sept. 8-10 at HITS Saugerties, the Buffalo International Horse Show Sept. 13-17 and the Rolex Central Park Horse Show Sept. 20-24. For more information on SBS Farms, please visit www.sbsfarms.com. For more information on the Buffalo Therapeutic Riding Center, please visit www.thebtrc.org.